Gift registry is a very helpful service to use for your wedding day gift shopping. You can choose shops you like and set up a gift registry. It is a useful practice that helps out both guests and the bride and groom. Giving gifts at a wedding is a tradition and since you know your friends and family will be struggling with what to get you, just let them know! You might need some things for around the house and you know you will get gifts for getting married. So why not putting everything you need on a list and sending a list of shops where you can get these things to your friends and family. The shops will mark every item that is bought for your wedding. This way your guests know when something has already been taken. This way you won’t have any duplicate purchases. You won’t be wasting any precious time returning gifts and you will have all you need. Any kind of present that you get is of course a lovely gesture. But especially in the zero waste mentality era, you don’t want any unwanted items around your house. And you don’t want to be surrounded by things you don’t know how to use. Setting up a gift registry is definitely a solution to this problem! If you tell your guests where they can get a present you like, they won’t struggle with random purchases. Easier for them, better for you. 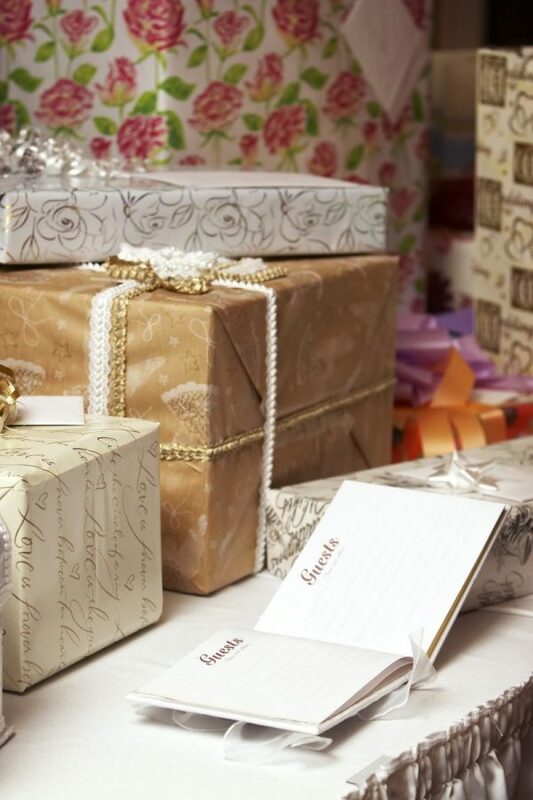 When you set up a gift registry, many shops offer extra benefits for you and your guests. Sometimes they can get free shipping and wrapping when they make a purchase with a certain shop. Other shops offer discounts for the bride and groom on the remaining items. This is really useful as you can buy whatever else you need at a bargain price! And for those few cases, when you’re unhappy with a gift, many shops offer special return policies on gift registries. And when you have wished for something bigger that would be too expensive for one person to buy, you can set up group gifting! This way everyone can contribute to the goal and you don’t have any unwanted items around the house. Your guests might be coming from afar and will be planning their trip to your wedding venue. They will have a lot of choosing to do in preparation for your wedding. What to wear? How to get there? Where to sleep? Whether to wish you good luck in your marriage or as a thank you for the invitation they will want to bring you a present. Don’t make it even harder for them by making them choose a gift. Simply set up a gift registry and help them choose the perfect gift for you!